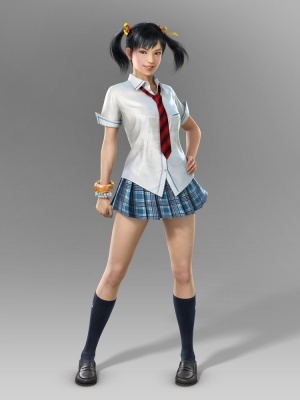 Ling Xiaoyu is a character from the Tekken franchise. During her opening story, one of the still images was of her in a Public Bath after training. While staying in a room in Lee Chaolan's mansion, she is seen depressed taking a Shower behind a Shower Curtain that is over a Clawfoot Slipper Bathtub.